Have access to lots of space planning ideas to make your vision a reality! We utilize proprietary procedures and technology devoted to improve product selection and accuracy. 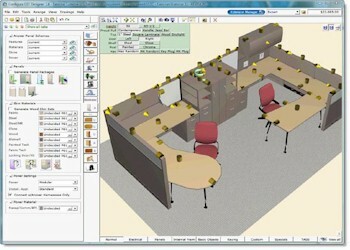 Our interactive spreadsheet tool allows many of our large-project clients to collaboratively engage with our team in ‘workshop’ format to most quickly, efficiently and accurately analyze all possible ‘what-if’ product options to reach an optimum mix of product performance, design intent/aesthetics and budget compliance. By eliminating the manual steps of having drawings prepared along with budgets and quotes that take up to a week or more, our processes speed the decisions, allow more informed choices and accurately reflect the financial impacts of each. This allows you to explore your furniture options in detail, save weeks in the processes, and get more accurate information.